Comics: I love Muslims; pigs are invisible to me! Among countless things which offend Muslims there’s pigs. I wonder if the pig species is even aware of their offending nature. From now on, like Oxford University, as a fellow supporter of my hardliner muslim brothers, I vow to ignore pigs. Pigs, you are invisible to me. Let’s end this species which offends the Prophet (PBUH) and his followers. Let the next terrorist attack be on pigs, start with the babies!! 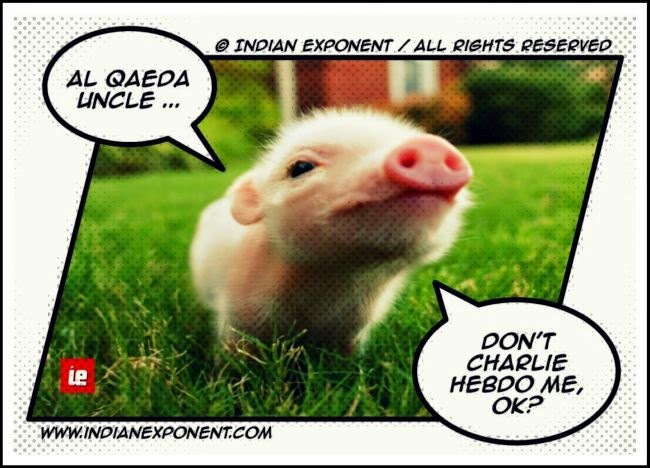 Indian Exponent: Comics: I love Muslims; pigs are invisible to me!